A company seal is a tool which places an embossed image on paper or card which shows your legally registered company name in a circle which surrounds your incorporation number. 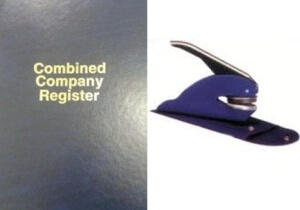 Nowadays, these are no longer compulsory but many companies still use a company seal for deeds, share certificates and other important documents. Order one of our Company Registers to ensure your statutory books are kept organised and up-to-date with all the legally required information about your company.